"His tone is unique, his talent for melody is phenomenal and his band tighter than most working groups today... Kasper gives us a sound we can't help but listen to." "A graduate of the University of Miami jazz program, spawning such notables as Pat Metheny and Bruce Hornsby, Julien Kasper is a guitar virtuoso whose instrumental excursions find equal footing in both jazz and blues without being bound to either. Kasper wields a master's touch even as he alternates between blazing workouts, sinewy grooves and introspective musings." 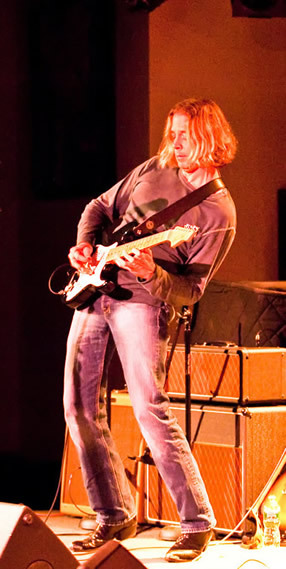 "Soul, groove, melody, tone, and the element of surprise are my priorities as a composer and an improviser... as a guitarist I am coming equally from the schools of rock, jazz, and blues." (Guitar World, October 2007) The subject was Julien Kasper’s 2006 CD The New Imperial and with the release of his latest effort Trance Groove, Julien has upped the ante while remaining true to his vision. As with The New Imperial (Nugene Records, 2006) and Flipping Time (Toulcat Records, 2003), on Trance Groove Julien's guitar is the nuanced, expressive singing voice of this all instrumental journey. Funky grooves, catchy melodies, psychedelic soundscapes, soulful gospel blues, epic rock guitar, and a stunning acoustic ballad coexist with rare, natural continuity. Trance Groove features a guest appearance by Hammond B3 organist T Lavitz of the Dixie Dregs, Widespread Panic, and Jazz is Dead. Live and on record Julien’s choice of rhythm section reflects his aesthetic of groove and group interaction. 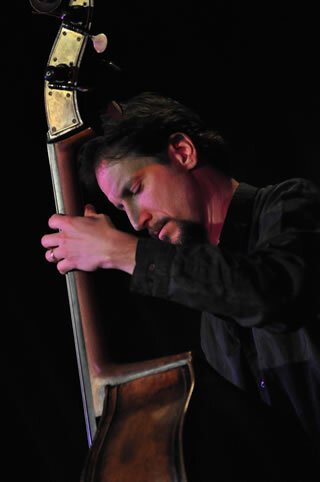 Bassist Jesse Williams and drummer Zac Casher have, between them, performed and/or recorded with a who’s who of American roots and groove masters: Johnny Adams, Duke Robillard, Mighty Sam McClain, Immani Coppala, Mighty Sam McClain, D’Angelo, Jay McShann, Henry Butler, and countless others. The international community of blues and jazz fans became aware of Julien through his work with pianist and Hammond B-3 organist Bruce Katz on their extensive tours throughout the US and Europe. 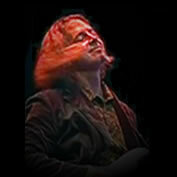 He recorded two CDs with the Bruce Katz Band on Audioquest: Mississippi Moan and Three Feet off the Ground. Julien has also recorded with Mighty Sam McClain: Journey and Soul Survivor on Telarc. Julien was born in France in 1962 to American parents and spent his youth as an army child moving around the American south. Inspired by Bob Dylan and the Beatles, he took up the guitar at the age of eight. In 1978 at sixteen, while living in Tallahassee, Florida, Julien began touring with the legendary blues/rock band Crosscut Saw featuring harmonica virtuoso and singer Pat Ramsey. After several years and one album (recently reissued on Akarma), Julien decided to seek more challenging musical terrain. He moved to the fertile music town of Austin, TX where he gigged constantly, honing his skill among the city’s heavy hitting players for four years. Despite the great musicians in Austin, Julien was frustrated by the lack of a vibrant jazz scene so he accepted a scholarship to attend the jazz program at the University of Miami. He put himself through school playing with IKO IKO, the house band at Tobacco Road, Miami’s blues and roots mecca, which allowed him to share the stage with a who’s who of blues legends and touring artists. An improvisational blues/jam band, IKO IKO gave Julien the opportunity to develop and organically integrate the advanced concepts he was learning in school into his virtuosic blues/rock sound. After graduating from UM Julien received another offer too good to refuse - a jazz guitar fellowship at University of North Texas - which brought him back to Texas in 1992 to complete his Master’s degree. While in the Dallas/Ft. 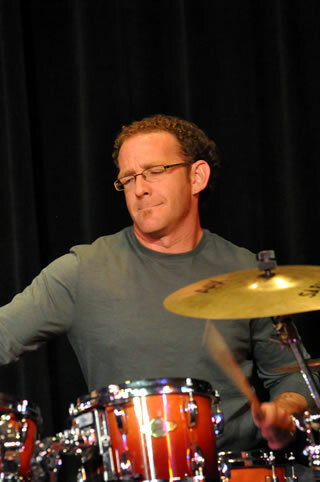 Worth area Julien expanded his musical boundaries by gigging in country, blues, rock, and jazz groups and launching the first edition of the Julien Kasper Band with drummer Keith Carlock (Steely Dan, Sting, Wayne Krantz). 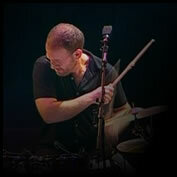 “Zac and I had an instant rapport,” says Julien Kasper about this melodic and articulate drummer. Casher's ability to create personal and commanding grooves in a variety of styles makes him one of the most sought-after drummers in the New England area. A Berklee College alumnus, his credits include performing and recording with Mighty Sam McClain (Telarc), Scott Shetler and Michelle Willson (Rounder), touring with Imani Coppala (Columbia Records), Ben Swift (Acoustic Arts Prod.) and Johnny Adams (Rounder) and performing with The Ken Clark Organ Trio (Severn Records). Zac has also produced and performed his own original rock project, Naked Wednesday (JZM Records). 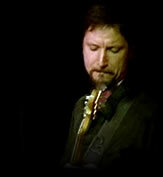 Jesse Williams is a fantastic electric and acoustic bassist, the consummate professional musician. In addition to his work with Julien Kasper, Jesse recently has played on an upcoming film by JOHN SAYLES. He is in the studio with AL KOOPER working on their upcoming record. He has toured extensively all over the globe and has recorded on five records with Duke Robillard, as well as with such artists as Paul Rishell and Annie Rains, Toni Lynn Washington, Ronnie Earl, Jimmy McGriff, Michelle Wilson, Bruce Katz. 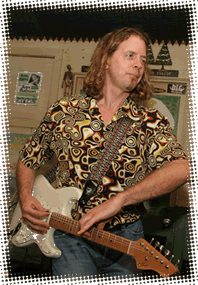 Jesse has performed with AL KOOPER, DUKE ROBILLARD, JOHN HAMMOND, MARIA MULDAUR, PERCY SLEDGE, JOHNNY JOHNSON, JAY MCSHANN, BILLY BOY ARNOLD, MARSHA BALL, GRAND MIXER DXT, MIKE PHILLIPS, HENRY BUTLER, and many others.